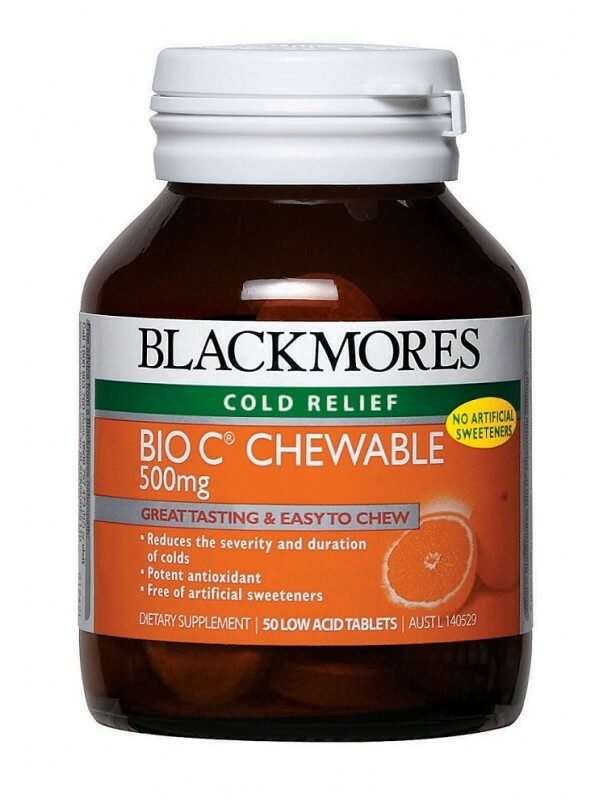 A great tasting chewable form of vitamin C with no artificial sweeteners that's suitable for the whole family. It is buffered with mineral ascorbates making it gentle on the stomach, and contains citrus bioflavonoids extract to boost its action in the body. Vitamin C helps to reduce the severity and duration of colds. As a potent antioxidant it also helps to reduce the risk of cell damage attributed to free radicals. Vitamin C is involved in hundreds of biological processes. It is important in immunity as it is involved in the function of white blood cells and antibodies. It is beneficial when dealing with the symptoms of the common cold. Vitamin C is also involved in the manufacture of collagen, an important protein in the body. Collagen is a structural protein found in cartilage and tendons, and it helps to support blood vessels. Due to its role in collagen manufacture vitamin C is necessary for wound repair.